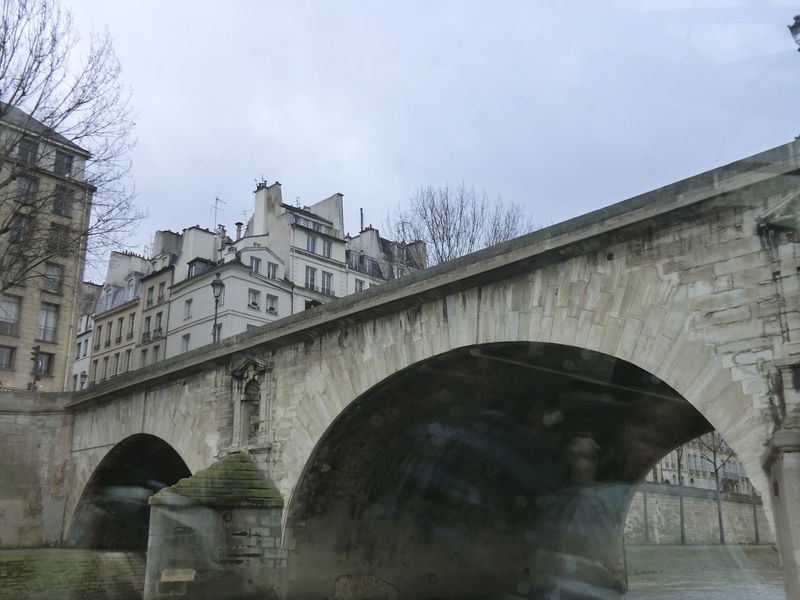 I recently wrote about a short trip to Paris, one of my favorite places in the world. I am sure I’m not alone. When I say a short trip I am talking about being in the city for about 72 hours, so what do you do in that short amount of time? Well if you have never been there before, there are some must see places, Louvre, Notre Dame, Arc de Triomphe, Eiffel Tower, Museum D’Orsay and Sacre Coeur among some of them, but there are so many more things to see and do in this gorgeous city from Museums, Cathedrals, Historical Sites, Food and even the people of Paris. You will have a spectacular time. I have been to Paris maybe 6-7 times over the years and look forward to my next trip there. The first few trips I made sure to do all the big and highly anticipated things in order to see all I can see. But then over the years my trips to Paris have become more comfortable and slower in their pace. I suppose it’s the “been there, done that” mentality. It has freed up my time to see and do things that maybe I wouldn’t normally do. When it comes to food in Paris, one indulgent luxury is cheese, seriously cheese in the U.S. Is not the same. I never shy away from the fabulous cheeses of France, but on this particular trip I did something I really thought was cheesy. I have never done a River Cruise down the Seine. To me this has always seemed a bit cheesy. I was wrong, it’s quite fantastic actually. We choose to take a lunch cruise with Bateaux Parisians, if you’ve been there you have seen these boats going up and down the Seine. If you have already visited some of the major landmarks in the City, this is a great way to see them all over again, but from a different perspective. While enjoying a glass of wine and a lovely lunch or dinner. A lunch cruise will take about two hours out of your day, and set you back anywhere from about $70 to $110 depending on the service you choose. There are three levels of service, (Etoile Service, Privilege Service or Premier Service) which basically means where you sit, whether your on the inside, window side or front side of the boat. We choose a window side sitting for lunch, a beautiful partly cloudy day, on a glass boat to see the sights. 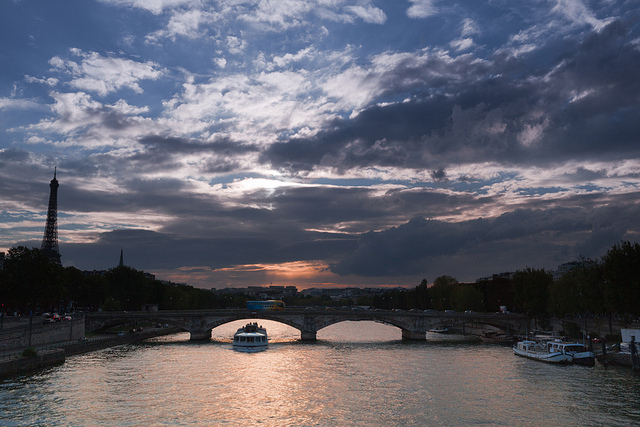 Some of the famous landmarks you’ll see while floating down the Seine are pretty spectacular. But aside from these buildings, is the quintessential Parisien lifestyle of relaxation and enjoyment you feel while on your cruise, enjoying your lunch. In Paris, people dress up a bit on these cruises, so give some thought to looking fabulous as well. 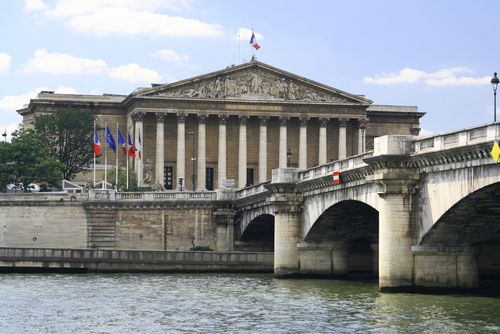 Now let’s take a quick cruise of our own down the Seine and take a look at some of the great things you will see. Le Louvre. 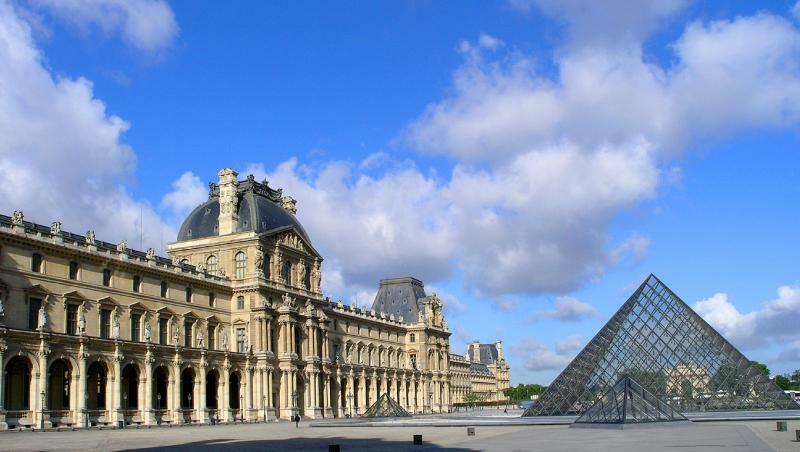 Now one of the world’s greatest museums, the Louvre was initially a medieval fortress and then became a palace. It’s 700- meter facade looks out on to the Rue de Rivoli on one side and the Seine on the other. From here you can also see Leoh Ming Pei’s Pyramid, which is the entrance to the museum, the Obelisk in the Place de la Condorde, the Champs-Elysees and the Arc de Triomphe. L Hotel de ville. From 1357, the “Maison aux Piliers”, bought by merchants provost Etienne Marcel, was home to the town council. 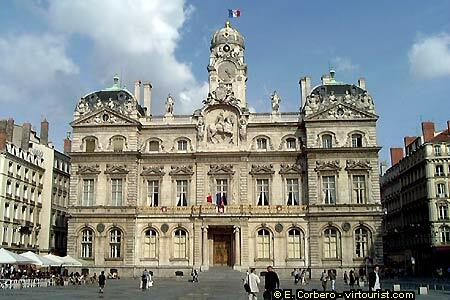 In 1533, Francois 1st had the Town Hall built. It was destroyed by fire in 1871 and rebuilt to the same model in 1874. 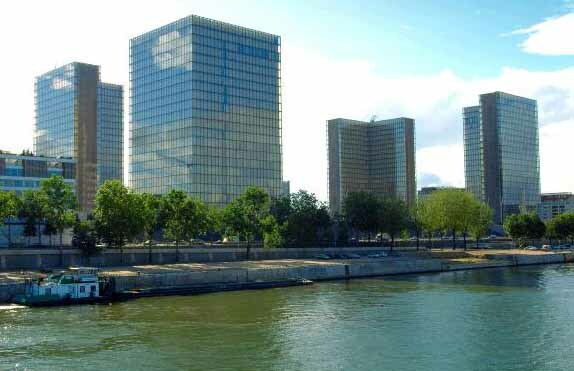 La Bibliotheque Nationale de France. 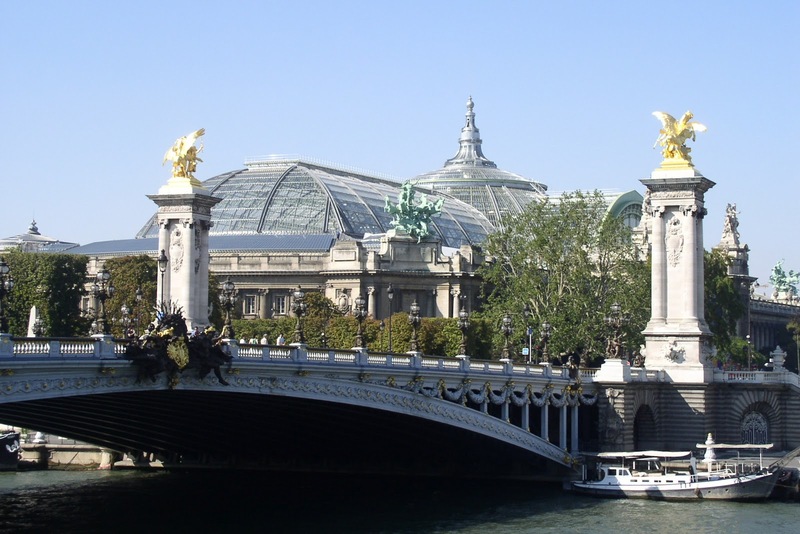 Inaugurated in 1996, the “Great Library”, as it is known by Parisians, is made up of four towers built in the shape of open books in a hectare of forest. It contains over 12 million works. 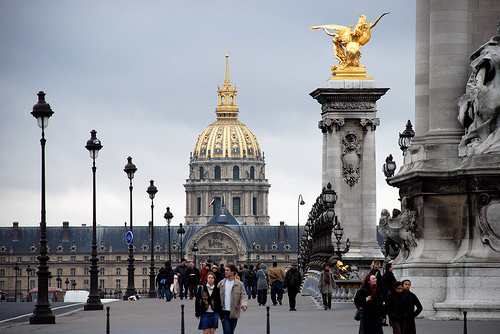 Les Invalides. 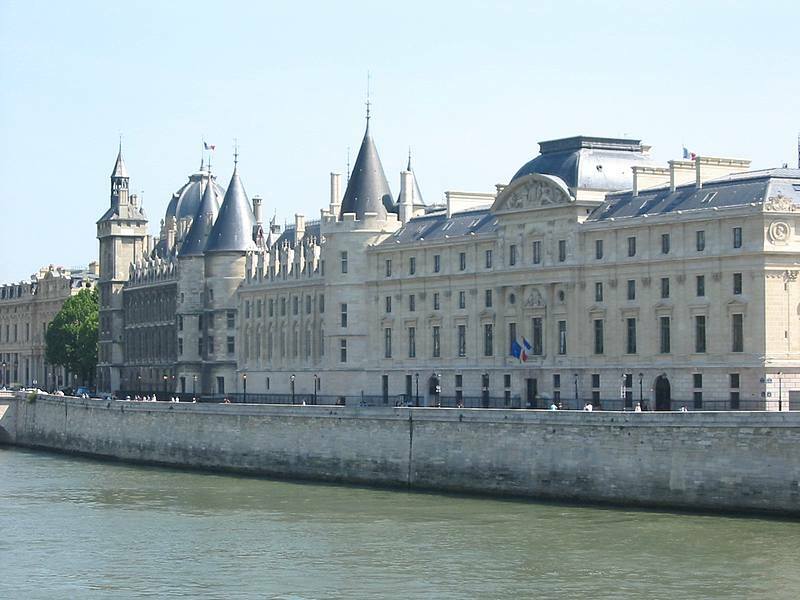 This military hospital was built in 1671 under Louis XIV. The tomb of Napoleon 1st is in the Dome Church, built by Mansart. La cathédrale Notre-Dame. Built between 1160 and 1330, we do not know the name of it’s inspired architect. 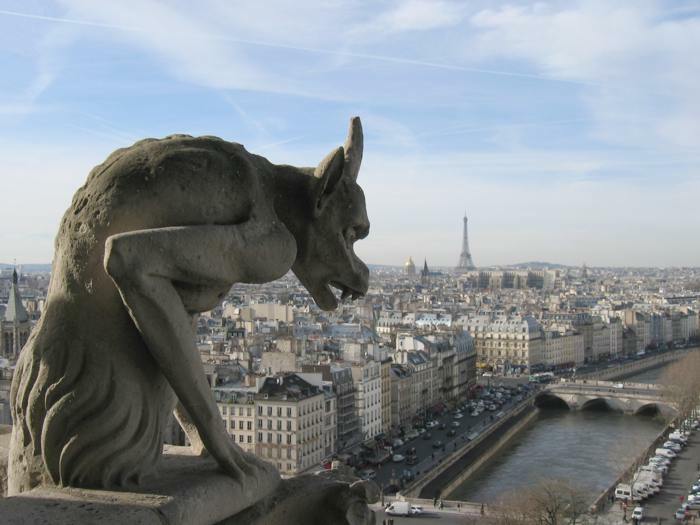 In 1831, Victor Hugo’s famous novel attracted attention to Notre-Dame, which was semi-ruined at the time. 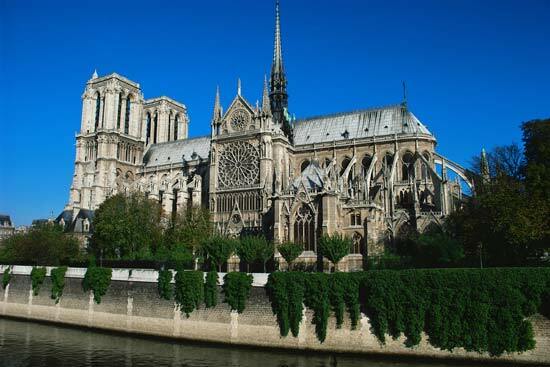 It was finally restored during this period by the architect Viollet-le-Duc. Le Musee d’Orsay. 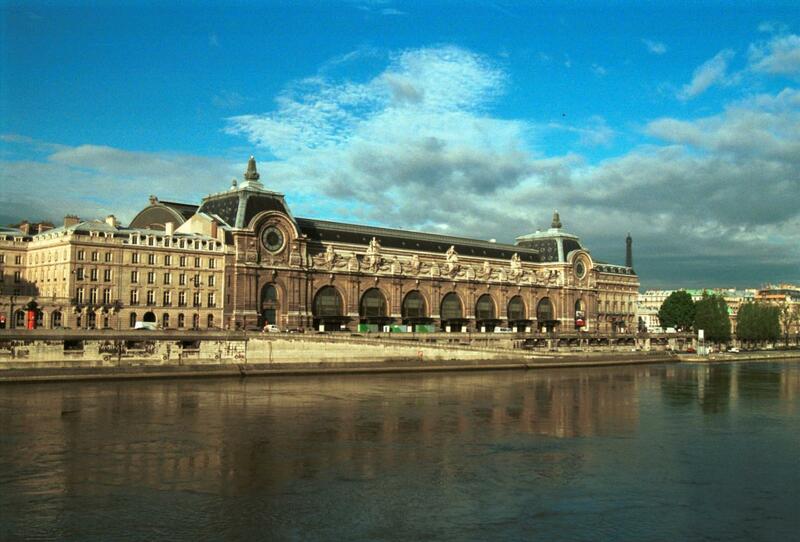 The Musee d’Orsay was originally a railway station. The building was abandoned in 1939 and was nearly demolished in 1971. It was converted into a museum in 1986. It is dedicated to late 19th century art, and particularly to a large number of impressionist painters. The Eiffel Tower. 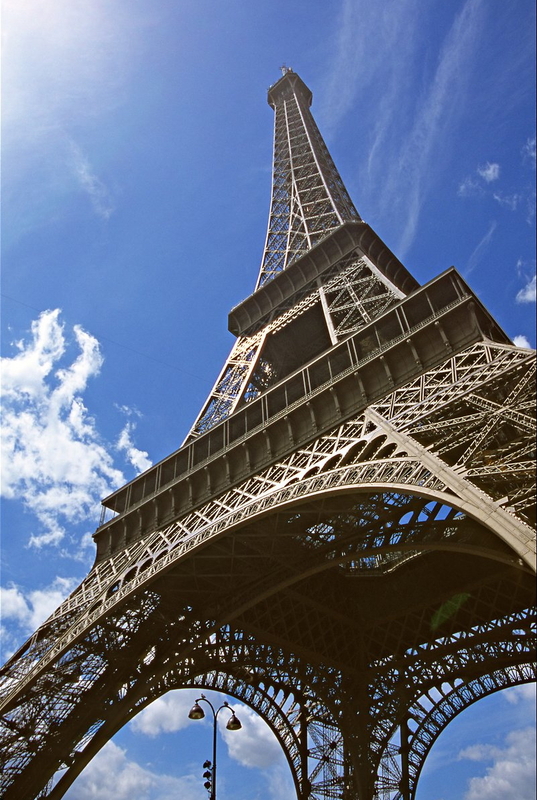 Erected for the 1889 World Fair (centenary of the revolution) by the engineer Gustave Eiffel, it was the tallest tower of the time, 320 meters. L’ Assemblee Nationale. 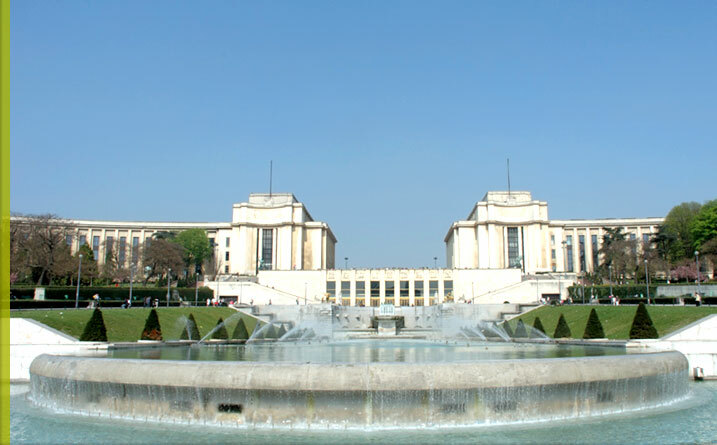 The National Assembly, formerly the chamber of Deputies, is one of the symbols of the French Republic. The deputies, who are elected by universal suffrage, discuss and vote on the country’s laws. La Conciergerie. Built in 1310 by Philippe IV the Fair, it is all that remains, with the Sainte-Chapelle, of the former palace of the Capetian monarchs, which covered the entire western side of the lie de la Cite. it served as a prison during the Revolution. La Statue de la Liberte. This liberty illuminating the world was offered to the City in 1889 by the American community in Paris, on the occasion of the centenary of the French Revolution. 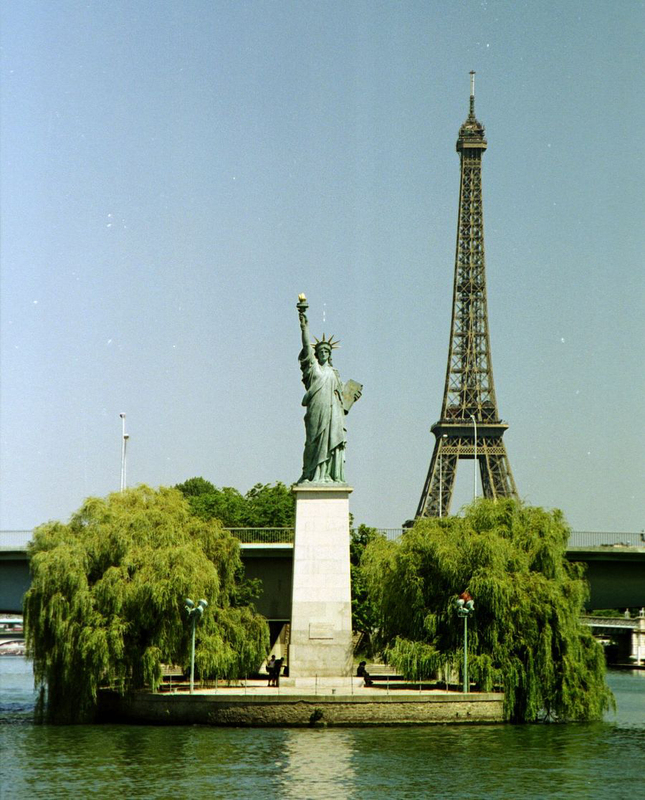 It is a copy of Bartholdi and Eiffel’s Statue of Liberty created in 1886 to celebrate Franco-American friendship. When we were approaching the Statue our Lounge singer broke out in a rousing rendition of New York, New York. It was quite hilarious. Le Palais de Chaillot. Built in 1937 for the International Exhibition, the Palais de Chaillot looks across to the Eiffel Tower. The Universal Declaration of Human rights was proclaimed there in 1948. 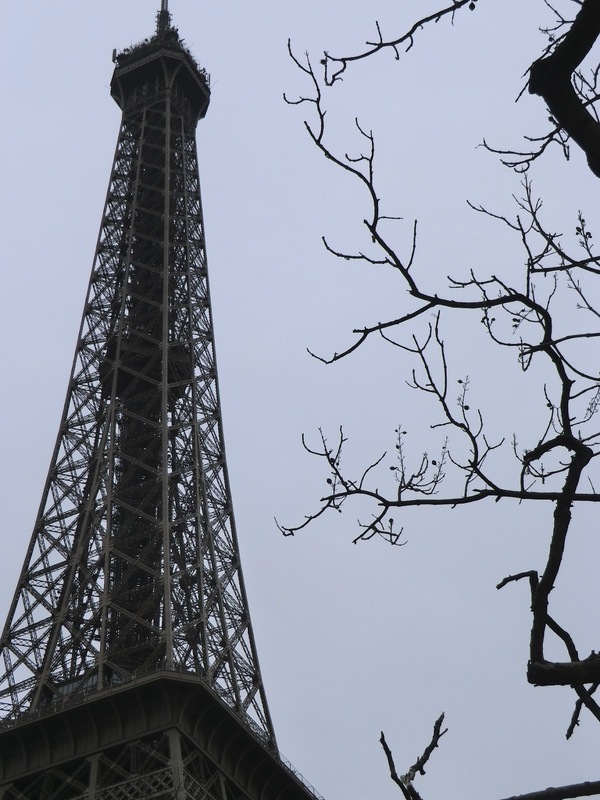 Although I thought this was going to be a bit cheesy, it turned out to be a highlight of this trip, don’t shy away from signing up for a lunch or dinner cruise while in the City of Light, Paris. Become a friend of travel with scott on Facebook, it’s easy, just click here and “Like” the Travel_w_scott page. ← Travel of a different kind…..